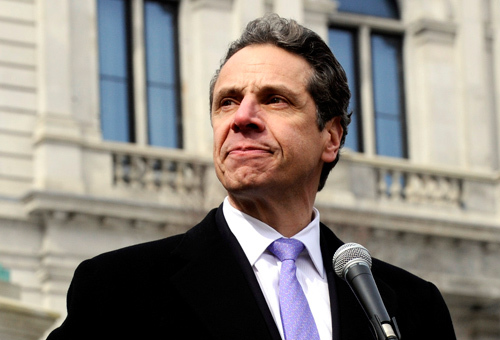 NEW YORK — New York Gov. Andrew Cuomo is calling on the state Education Department to do a better job of protecting transgender students from harassment and discrimination in the classroom. In a letter to acting Education Commissioner Elizabeth Berlin, the governor expressed outrage over the department’s failure to implement and monitor provisions of the Dignity for All Students Act relating to gender identity. The letter follows a report by the New York Civil Liberties Union that says discrimination and harassment of transgender students are pervasive and education officials have failed to carry out a legislative mandate to protect them. The governor also called for a review to be published within the next three weeks of the department’s compliance with the Dignity for All Students Act. Details of the letter were released Sunday.